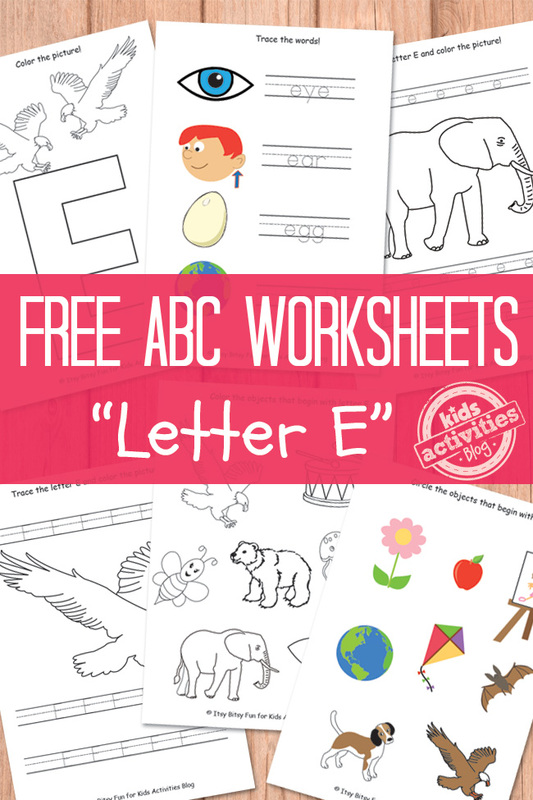 So now that you did a few hands on activities on letter E and need to chek what kids know and move on to handwriting practice–Grab these free letter E worksheets! 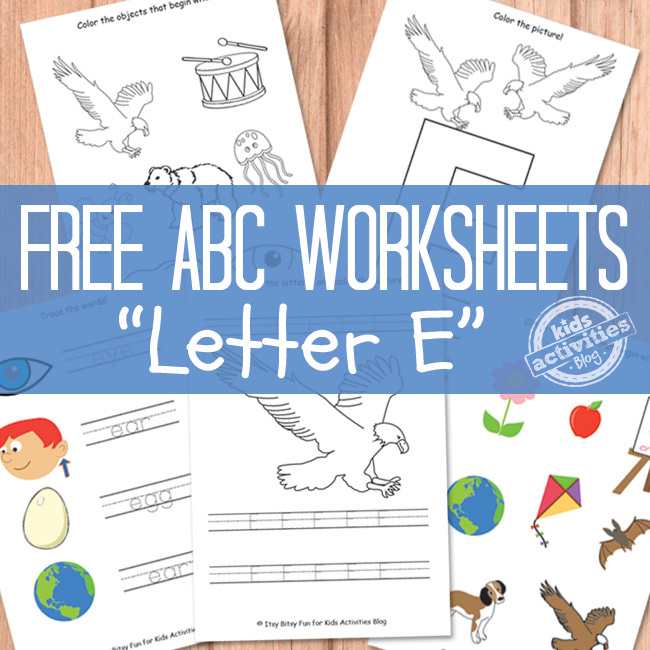 There are many great alphabet learning games that will help with learning the ABC’s but some things just can’t be taught without pen and paper! E is for eagle, e is for easy… E is also for energetic and emotional -something you probably encounter daily with kids. These worksheets are pretty easy and enjoyable and are just waiting for you to print them out and for your kids to solve them. There are 8 worksheets in this set and you don’t have to use them all at once – in fact you shouldn’t. A few minutes of worksheets a day will do more good than a long session (unless your kids really love doing them). 1 page of tracing words (starting with letter E). 2 pages of E beginning sound activities. 1 letter E coloring page. Printables can be super fun and these whale activity sheets are a great example. And when kids will already know their ABC’s be sure to give them a word search puzzle or two.